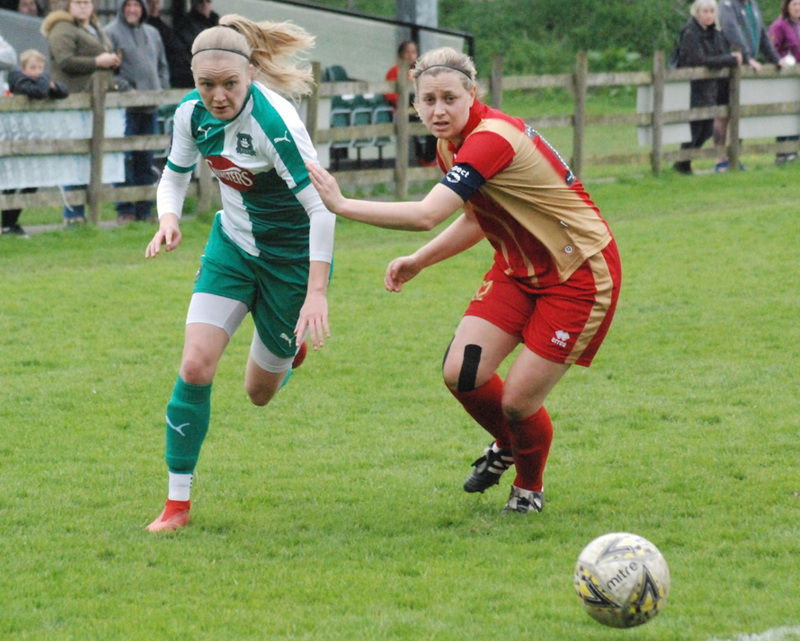 PLYMOUTH Argyle Ladies will be looking to retain the Devon Senior Cup on Friday night when they take on Buckland Athletic at Coach Road, Newton Abbot (7.15pm). A good sized is expected at Devon HQ for the match with women’s football growing in popularity in the county. National Southern Premier Division side Argyle recently played Portsmouth in a league game in front of 900 people at Home Park, while more than 600 supporters saw Buckland overcome Exeter City 3-1 in the cup semi-final at St James’ Park. The Pilgrims beat Torquay United 8-0 in last year’s Devon Cup final but Buckland will offer a much sterner test having had a highly-successful season in National League Division One South West – the level just below Argyle. Games between the two clubs have been close in recent seasons. Two years ago Buckland knocked Argyle out of the competition on the way to winning the Devon Cup, while the Pilgrims beat them 4-3 after extra-time in last season’s competition. Both sides are in fine form. Buckland have lost just one of their last nine league and cup matches, while Argyle have lost just one of their last eight National Southern Premier Division matches. Argyle will be without flying winger Amber Pollock and Greece under-20 international Panagiota Papaioannou, who are both unavailable. The good news is that top striker Natasha Knapman, who netted a double on Sunday against Milton Keynes, is finding her form again after six months out with an ankle injury. She had netted more than 100 goals in the previous two seasons before her injury in September. The other good news is that Welsh international Helen Bleazard, who had also been out of action recently due to an ankle injury, came on as a substitute against Milton Keynes and provided a cross for Knapman’s second goal. Argyle follow Friday’s cup final with a visit to Loughborough on Sunday for a league game where they are expected to field a similar squad. The Pilgrims lost the home match against Loughborough 4-0 so expect a difficult challenge. Argyle’s cup final squad: Sarah Prior, Leah Burridge, Mollie Taylor, Kate Middleton, Faye Ivall, Zoe Cunningham, Kayley Lane, Jessica Jones, Steph Beck, Helen Bleazard, Natasha Knapman, Darcey Hepworth, Kelly Vinnicombe, Nicola Champion, Tamsin Medd-Gill.